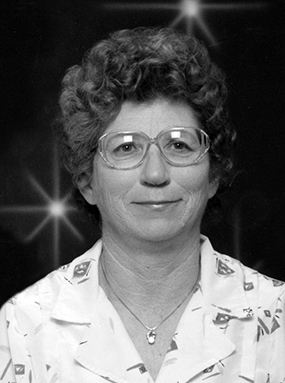 It is with great sadness that we, the family of Daphne Anne Schmidt, announce her sudden passing in Medicine Hat on Monday, August 20, 2018, at the age of 76 years. Daphne will be grately missed by her son, Wade (Novalee) Schmidt; daughter, Holly Schmidt; grandchildren, Nicole (Sean) Vandenabeele, Kevin (Tonisha) Schmidt, Ryan Swenson, Rylie Swenson, Keisha Swenson and her great-granddaughter, Kyla Vandenabeele. She will be lovingly remembered by her sisters, Fay Southwood, Teresa Armstrong and Beth (Bob) King; brother, David (Sharon) McDowell; sister-in-law, Claira Galli; brother-in-law, Frank Ortt as well as numerous nieces and nephews. Daphne was predeceased by her husband, Donald Schmidt; parents, Evans and Lenora McDowell; in-laws, Stanley and Edith Schmidt; brothers, Trevor (Wendy) McDowell, Reg McDowell, Bill McDowell and Lynn (Vi) McDowell; brothers-in-law, Alex Galli, Sonny Southwood and Jack Armstrong; sister-in-law, June Ortt; niece, Anita McDowell as well as nephews, Gordie McDowell and Murray Jeffrey. Daphne was born on the family farm by Piapot, SK., on June 27, 1942, one of nine children of Evans and Lenora McDowell. She married Donald Schmidt on November 10, 1961. She worked as a telephone operator in Maple Creek before moving to the family farm in Consul, SK. Daphne had many interests. While on the farm, she grew very large gardens, selling produce to many. She also enjoyed sewing and baking and was well known for her delicious cinnamon buns. Donald and Daphne retired to Medicine Hat in 1996 where Daphne still enjoyed gardening and sewing and continued to do so right up until her passing. A Private Family Interment will take place at a later date. (Condolences may be expressed by visiting our website at http://www.cooksouthland.com <http://www.cooksouthland.com> ) Honoured to serve the family is COOK SOUTHLAND Funeral Chapel, 901 – 13 Street S.W., Medicine Hat, Alberta, T1A 4V4. Telephone toll free: 1-877-528-6455. © 2019 Maple Creek News And Alta Newspaper Group Limited Partnership.